The Jordan River extends just 251 km from the base of Mount Hermon through the Hula valley to the Sea of Galillee (Kinneret) and then down to the Dead Sea about 422 metres below sea level, which has no outlet (for comparison, the Nile, Amazon, Yangtze and Mississippi rivers are each more than 6000 km long). The children of Israel led by Joshua cross the Jordan river near Jericho from the east to conquer and settle the land (Joshua 3:15-17). The New Testament states that John the Baptist baptised unto repentance in the Jordan and Jesus came to be baptised by him there (Matthew 3:13). Pilgrims can immerse in the Jordan river at the traditional site, Kasr el Yahud, just north of the Dead Sea. Jordan’s river is chilly and cold, Hallelujah. Chills the body, but not the soul, Hallelujah. The photo was taken just east of Kfar Blum. The technical details – the photo was taken with a Canon point and shoot digital camera in April (ISO 50, 7.7mm, F2.8 at 1/400 sec). 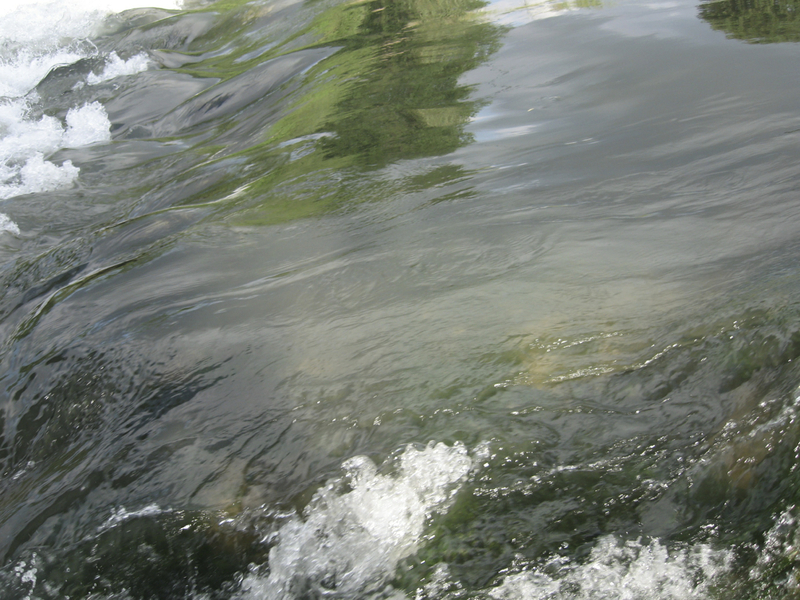 I’m including a more traditional view of the Jordan River shot at the same time and place. 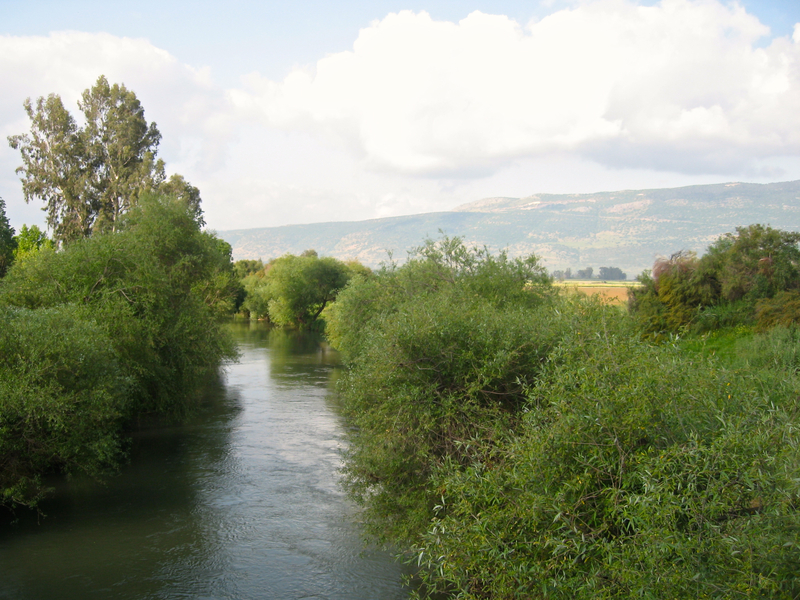 This entry was posted in Nature, Photography, Water and tagged Israel photo, Jordan river, Mount Hermon, photo of week, Photography on November 18, 2012 by Shmuel Browns. Gorgeous photographs. Close up . . . Ice crystals? Winter shot? 2nd — So serene. Precious balance to the lack of serenity on the other side.